With a career spanning over five decades, Tess Jaray has continually explored geometry, colour, pattern and repetition, often inspired by architectural structures. Unlike the certainties of mathematical geometry, Jaray focuses on what she describes as the ‘geometry of human relationships’, challenging the viewers’ perception and relationship with the space surroundings us. 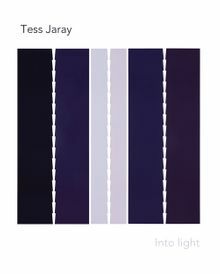 Accompanies the exhibition, Tess Jaray: Into Light at Marlborough Fine Art, London (25 May – 17 June 2017) and is co-published by Marlborough Fine Art and Ridinghouse. Paperback, 9.34 x 11.63 in. / 50 pgs / illustrated throughout. For over three decades, Jaray’s abstract painting has been complimented by a series of art projects that extends her investigation of space and perspective to the public sphere. Working primarily with materials such as brick, stone and metal, the forms of Jaray’s public squares are often held in an equilibrium of movement and stillness. Paperback, 7.63 x 9.13 in. / 96 pgs / 67 color. 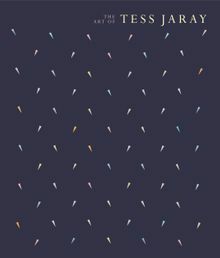 Examining the geometry of pattern, repetition and colour within her surroundings, British artist Tess Jaray has explored painterly perspective for more than five decades. Tess Jaray focuses on producing the illusion of space, using perspective to create a field of spatial paradox that equates to distance and closeness in the mind. In many of her works the area of pattern – whether polygons, waves or rectangles – is contained by a strong, grounding background colour, thereby controlling the movement of the forms. 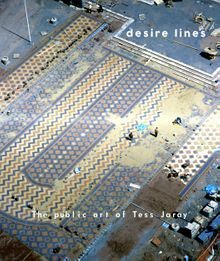 Alongside a large group of Jaray’s paintings of enigmatic forms and colours – which celebrate the vitality inherent within archetypal rhythms and patterns – this first monograph explores her contemporary influence. From Kazimir Malevich and Lucio Fontana to Italian architecture and Islamic mosaics, this volume situates the artist within the tradition of abstract painting and the history of art. Clth, 9.88 x 11.63 in. / 255 pgs / 198 color.